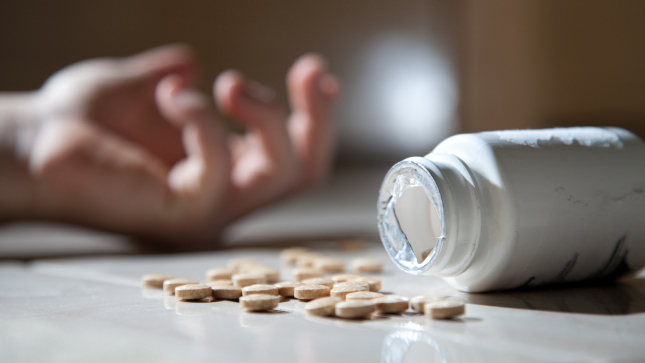 The health community labels injuries caused by taking medication as adverse drug events (ADEs). Adverse drug events present one of the most challenging problems which exist in healthcare today. A huge risk goes hand in hand with a person putting a pill in their mouth, syringe into their body, or scalpel to their skin. An inherent trust exists between human beings and medical professionals. People often assume that medical diagnosis and treatment goes without question as the safest and most effective way of dealing with a physical concern. Yet, most medical procedures, pills, and hospital visits pose some sort of health risk. Many people assume the benefits of medical intervention outweigh the risks of any treatment, intervention, or pill. Nowhere does that assumption become more dangerous than in the arena of pills and medications. ADEs continue to skyrocket up the list of most common causes of injury, illness, and disease. In fact, opioid drug overdoses are the leading cause of death in Americans under the age of 50. These medicinal interventions meant to treat problems actually become just as dangerous as the original conditions. Steroids, non-steroidal anti-inflammatory drugs (NSAIDs), and opioids comprise three of the five most common types of dangerous medications which cause the highest number of adverse events. These three medications maintain a primary purpose of covering up the sensation of pain in the body. The irony of each medication exists in the fact that none of these substances fix or cure pain, thus the body remains in a perpetual state of need for more dangerous drugs. Common sense dictates that proper healing and alleviation of pain would negate any need for these pharmaceutical drugs and provide people with a healthy alternative to the risks of adverse events. Chiropractic provides that solution. Millions of people of all ages, genders, backgrounds, and lifestyles pursue the elimination of pain and symptoms through safe and effective Chiropractic care. Many people experience symptom relief soon after beginning regular Chiropractic adjustments to the spine and nervous system. The benefits continue far beyond pain reduction. Chiropractors remove interference from the body’s supervening system by assessing and gently adjusting areas of stress in the spine and nervous system. The intimate relationship between the spine and central nervous system draws a direct correlation between spinal stress and overall health. Stress in the spine leads to stress in the health and function of the entire body. Removing stress in the spine allows the body to function and heal to optimal levels. Chiropractors did not formulate the anatomy and physiology that help patients achieve greater levels of health through adjustments. They simply honor the facts and attempt to always work with the body to heal the body. Chiropractors utilize scientifically developed evaluation techniques to locate and correct areas of nervous system dysfunction through specific spinal adjustments. Adjustments subsequently improve spinal mobility, gland function, tissues, and hormone balance. Improvements in overall health and well-being begin to take shape when the body becomes free of stress and impingements. Research done in 2018 showed that patients under Chiropractic care experienced 51% fewer adverse drug events compared to those who did not get adjusted regularly. People deserve lives free of the shackles of drug dependence. Chiropractic advances will continue to play a vital role in the future of maximized healthcare around the world.